Victor Merzhanov was once called by a Swedish critic "a descendant of that line of great Russian-born pianists that began with Ziloty and Rachmaninov". Merzhanov graduated from the Moscow Conservatoire with distinction and his name was inscribed in its marble wall along with those of Scryabin and Rachmaninov. During his career he gave more tran 1500 recitals and concerts recitals with such conductors as Zanderling, Kondrashin, Gauk, Rozhdestvensky, Temirkanov, Svetlanov and many others. 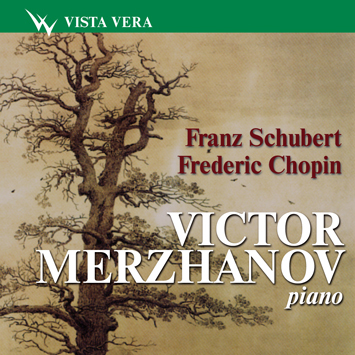 This is one of several Merzhanov's discs issued by Vista Vera.